Beef Recall 2018: More Raw Beef Recalled After Nationwide Salmonella Outbreak More than 12 million pounds of meat are now included in the recall. Officials say some 250 people have been sickened. They fear contaminated beef may remain in people's freezers. More than 2,500 tons of raw beef are being added to a recall in connection with a salmonella outbreak that federal officials say has sickened hundreds of people across 25 states. The Arizona-based JBS Tolleson processing plant initially recalled about 3,500 tons of potentially contaminated beef in October. JBS, the top global meatpacker that owns the plant, still maintains the move ensured all of the affected product had already been removed from store shelves. But the U.S. Agriculture Department's Food Safety and Inspection Service says investigators identified at least three patients believed to have been sickened by the company's beef that was not included in the October recall. JBS says it made a "cautious decision" to expand the recall because some potentially contaminated meat could remain frozen in consumers' homes. It has been sold at more than 100 stores nationwide, including at Ralph's, Sam's Club and Walmart, under the brand names of Kroger, Laura's Lean and Generic JBS. The USDA published images of what the recalled products' labels look like. The agency says at least 246 people got sick between Aug. 5 and Oct. 16. The majority of salmonella cases occurred in California, where 66 people got sick, followed by Colorado with 50 cases and Arizona with 42, according to the CDC. JBS said that "while no products in this expansion have been definitively linked to any illness," it has launched "a full evaluation of our internal processes and controls" and opted to "voluntarily test 100 percent of the beef trimmings produced in the Tolleson facility." Food poisoning from salmonella — or salmonellosis — is one of the most common bacterial food-borne illnesses, sickening more than a million people in the U.S. each year, according to the CDC. Symptoms can include diarrhea, abdominal cramps and fever within 12 hours to three days after eating the contaminated product. Most people recover with no lasting impact, but for babies, the elderly and those with weakened immune systems, the illness can be severe. The CDC says salmonella is responsible for about 450 annual deaths in the U.S.
Salmonella bacteria live in the intestines — both human and animal — and meat may become contaminated if animal feces spreads during the butchering process. Seafood, fruits and vegetables can also become tainted by contaminated water. Safe use of all raw meat includes washing hands and surfaces after handling, separating it from other foods and cooking it thoroughly. For beef that means letting it reach an internal temperature of 145 degrees Fahrenheit, with 3 minutes of resting. 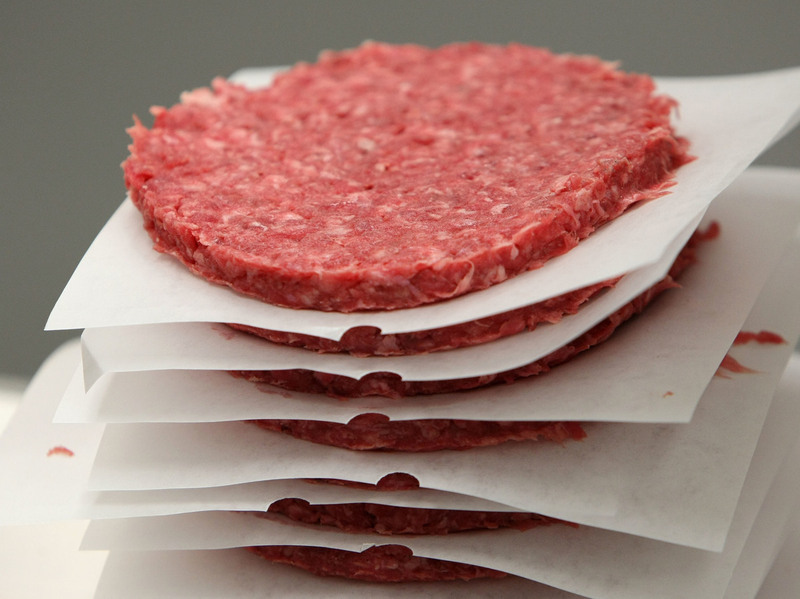 The USDA says ground beef should be cooked to a higher temperature of 160 degrees. Federal officials say they are continuing to investigate the outbreak connected to the JBS Arizona plant.